Direct fit for the 2015 Ford Mustang EcoBoost. 2.3L EcoBoost. 15 Ford Mustang EcoBoost, Manual and Automatic Transmissions Note. 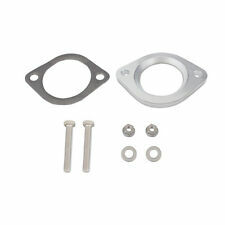 (1) Stainless Steel, 2-piece downpipe with floating 2-bolt flange, slip joint connector, and V-band flange. Mishimoto continues to expand on our line of performance exhaust system components! This downpipe was designed with maximum exhaust flow in mind, using 3" mandrel-bent stainless steel tubing. The adapter can also be omitted, so the downpipe has a 3.0" V-band outlet to mate up to a custom exhaust, or the upcoming Mishimoto Cat-Back Exhaust to make a full 3" downpipe / mid-pipe combination. 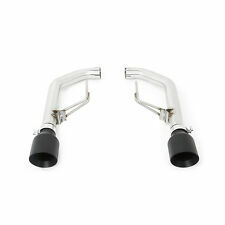 Subaru Impreza Wrx Mishimoto Exhaust converter 3 inch to 2.5. Condition is New. Dispatched with Royal Mail 1st Class. 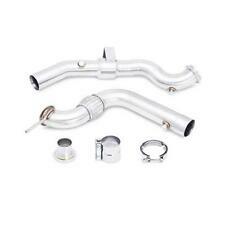 Mishimoto Downpipe and the Mishimoto EcoBoost Cat-Back Exhaust?. The Mishimoto Mustang EcoBoost Exhaust Adapter is made a 304 Stainless Steel that will not rust in harsh climates and installs in under 30 minutes. This exhaust adapter mates directly with your standard exhaust flange and gets rid of any exhaust leaks when combining with the Mishimoto Cat-Back Exhaust. This adapter installs in under 15 minutes and includes stainless steel hardware and a new 3" 2-bolt flange gasket, making installation simple. 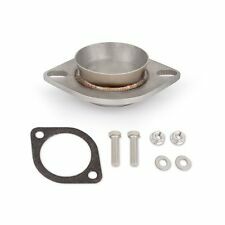 This 2015 WRX adapter installs in under 15 minutes and includes stainless steel hardware and a new 3" (7.62 cm) 2-bolt flange gasket, making installation simple. Mishimoto products are a high quality manufactured item. The full 304 stainless steel, mandrel-bent construction provides optimal flow and excellent appearance. Mishimoto products are a high quality manufactured item. We will re list the item after satisfying your order. Mishimoto continues to expand on our line of performance exhaust system components! This EcoBoost Mustang downpipe was designed with maximum exhaust flow in mind, using 3" mandrel-bent stainless steel tubing. The engineering team went through a few different tip designs before settling on these classic oval mufflers that provide a sweet tone with no added drone. If you want the best in exhaust performance, pair this EcoBoost exhaust with the Mishimoto EcoBoost Downpipe. 3" is the way to go when talking downpipes. The reduced back pressure speeds up turbo spool to drop the boost threshold lower in the rev range. To boost the size of your entire exhaust system, pick up the Mishimoto Fiesta ST180 Cat-Back Exhaust for most impressive results. Mishimoto Exhaust Heat Wrap will help reduce engine bay temperatures with its thermal protection. 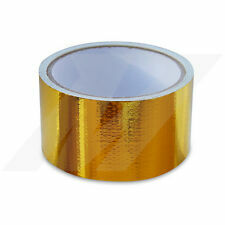 Heat Wrap will create cooler air intake temperatures, enhancing overall performance. 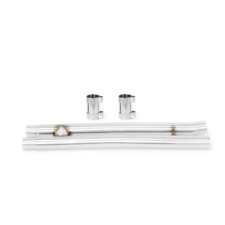 The set includes a 2" x 35' roll of exhaust heat wrap and Stainless Locking Ties, which is perfect for loosely wrapping a v8 or tightly wrapping a 4 cylinder engine. Mishimoto products are a high quality manufactured item. We will re list the item after satisfying your order. Mishimoto Stainless Steel Locking Ties are designed to secure and safely fasten heat wrap. 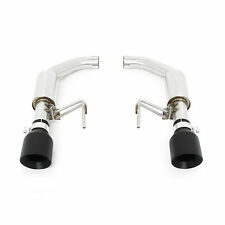 Pump up the volume of your 2015 Mustang GT exhaust! 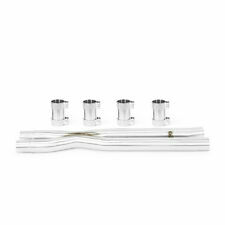 The full 304 stainless steel, mandrel-bent construction provides optimal flow and excellent appearance. If you want the best in exhaust performance, pair this GT X or H-pipe with the Mishimoto Mustang GT Axleback exhaust. The Mishimoto Mustang GT X and H-Pipes fit both manual and automatic transmission vehicles, and just like all Mishimoto Mustang parts, comes with the Mishimoto Lifetime Warranty. 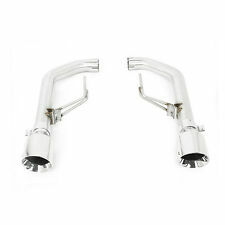 Looking for a smooth transition between the Mishimoto EcoBoost Downpipe and the Mishimoto EcoBoost Cat-Back Exhaust? This 3.0" adapter eliminates the restrictive 2.25" center section that is the result of joining some aftermarket downpipes and cat-backs. The Mishimoto Mustang EcoBoost Exhaust Adapter is made a 304 Stainless Steel that will not rust in harsh climates and installs in under 30 minutes. This adapter perfectly complements the V-band flange on the Mishimoto downpipe and the 3" band clamp on the Mishimoto cat-back exhaust. And like all Mishimoto Mustang EcoBoost parts, this Adapter comes with the Mishimoto Lifetime Warranty. After months of development and testing, Mishimoto has released the stainless steel downpipe for the Ford Mustang EcoBoost! This downpipe was designed with maximum exhaust flow in mind, using 3"" mandrel-bent stainless steel tubing. This downpipe will easily outflow the stock restrictive piece, and allow your EcoBoost Mustang to make maximum power and torque! With this downpipe installed on our EBM Mustang and the ECU re-flashed with a more aggressive tune, the engine was able to make an additional 65whp and 108wtq over stock with our catted downpipe installed. With the Mishimoto catless downpipe installed, we produced additional gains of 9.8 whp and 8.3 wtq over the catted model, making this a great option for those seeking maximum power output.